SEL trim. PRICED TO MOVE $700 below NADA Retail!, EPA 38 MPG Hwy/28 MPG City! CD Player, Onboard Communications System, Dual Zone A/C, Alloy Wheels, Flex Fuel, iPod/MP3 Input. CLICK NOW! KEY FEATURES INCLUDE Flex Fuel, iPod/MP3 Input, CD Player, Onboard Communications System, Aluminum Wheels, Dual Zone A/C Rear Spoiler, MP3 Player, Keyless Entry, Child Safety Locks, Steering Wheel Controls. VEHICLE REVIEWS Edmunds.com's review says Along with providing the likable character of the standard Focus, the 2012 Ford Focus Electric makes electric vehicle ownership more enticing thanks to potential sub-4-hour recharge times.. Great Gas Mileage: 38 MPG Hwy. A GREAT TIME TO BUY This Focus is priced $700 below NADA Retail. OUR OFFERINGS Central Maine Motors Auto Group has been proudly serving the community since 1935. We do not charge documentation fees, we provide a full tank of gas whether you choose to purchase a new or pre-owned vehicle as well as complimentary, lifetime Maine State Inspections. Please confirm the accuracy of the included equipment by calling us prior to purchase. $800 below NADA Retail!, FUEL EFFICIENT 27 MPG Hwy/19 MPG City! XLE trim. 3rd Row Seat, Premium Sound System, Dual Zone A/C, Fourth Passenger Door, Alloy Wheels, Quad Seats, Rear Air. 5 Star Driver Front Crash Rating. AND MORE! KEY FEATURES INCLUDE Third Row Seat, Quad Bucket Seats, Rear Air, Premium Sound System, Aluminum Wheels, Dual Zone A/C, Fourth Passenger Door Rear Seat Audio Controls, Privacy Glass, Keyless Entry, Steering Wheel Controls. EXPERTS CONCLUDE Edmunds Editors' Most Wanted Minivan. Edmunds.com explains The Sienna has an excellent reputation for overall quality and long-term dependability, which make it a hassle-free vehicle to drive day in and day out, while contributing to peace of mind on long road trips.. 5 Star Driver Front Crash Rating. 5 Star Driver Side Crash Rating. Great Gas Mileage: 27 MPG Hwy. AFFORDABLE This Sienna is priced $800 below NADA Retail. VISIT US TODAY Central Maine Motors Auto Group has been proudly serving the community since 1935. We do not charge documentation fees, we provide a full tank of gas whether you choose to purchase a new or pre-owned vehicle as well as complimentary, lifetime Maine State Inspections. Please confirm the accuracy of the included equipment by calling us prior to purchase. 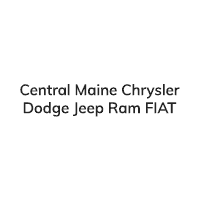 If you’re on the hunt for a used car that’s still in great condition, do yourself a favor and head over to our Chrysler, Dodge, Jeep, FIAT® and Ram dealership near Lewiston, ME. Here you’ll find all the used cars you’re looking for, including pre-owned Jeep SUVs, used Ram trucks and Certified Pre-Owned Chrysler vehicles. We also have pre-owned FIAT and Dodge cars for sale, as well as plenty of used cars from other makes. We even have a selection of affordable used cars under $10,000, which will help you get the reliable vehicle you need without a big price tag. Get started by browsing our used car inventory online, then visit our Maine car dealership to test-drive the vehicle you like best.